"Chicagoland Leader in Relocation, Storage & Facility Services." If you’re planning to relocate into or out of Elmhurst, movers are often recommended in order to ease the stress and burden of your moving experience. For the best results, though, not just any crew of movers will do—choose the best of the best by working with the time-tested experts of Pickens-Kane! 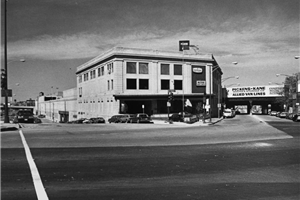 We’ve been moving businesses and households in Chicagoland since 1914, giving us well over 100 years of industry experience. Combined with our dedication to customer service and our agent certification from Allied Van Lines, our Elmhurst movers are here and ready to take you anywhere you need to go. Local Moving: Because we’ve been working in the Greater Chicago area for over a century, we know how to carry out local moves that are highly efficient and affordable. Interstate Moving: Our world-class moving fleet and custom moving strategies can make absolutely any state-to-state move easy! As an award-winning Allied agent, we also have trustworthy partners around the country. Apartment Moving: Whether you’re moving into a one-bedroom apartment or a penthouse suite, we have highly trained apartment moving crews who will get you to your new home with minimal cost and hassle. Moving and Storage: We operate the largest climate-controlled facility of its kind in the entire Chicagoland area, equipped with state-of-the-art security and multiple storage options. Are you ready to begin your next moving and storage project in Elmhurst? Then contact Pickens-Kane today for a free on-site estimate from our experienced and professional Chicago movers. Just fill out our online form or give us a quick call to get started right away! 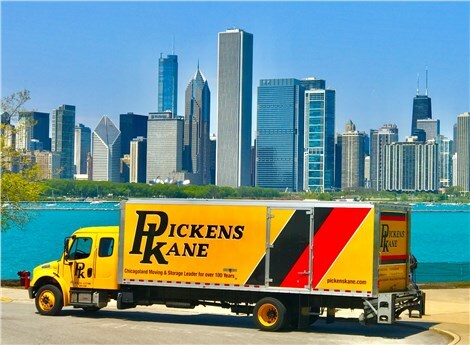 With over 100 years of experience, it's no wonder why Chicago residents continually turn to Pickens Kane for all of their moving and storage needs. Receive a free move estimate today!